Created for engineers by engineers. 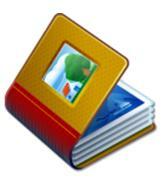 Valuframe profiles are based generally on 3 dimensional families with a few exceptions. 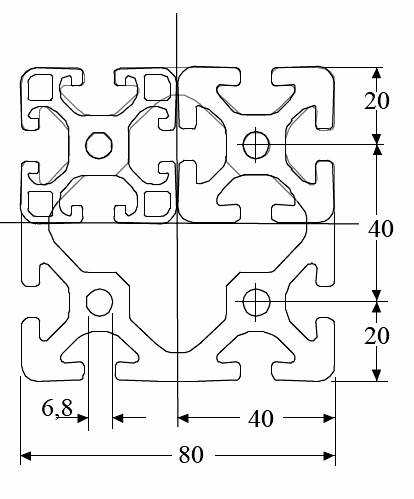 • Series 5 : 5mm profile slots with 20mm core dimensions. There are also some special profiles available for conveying and linear motion applications. The holes in the end of the profiles can be tapped directly as follows. 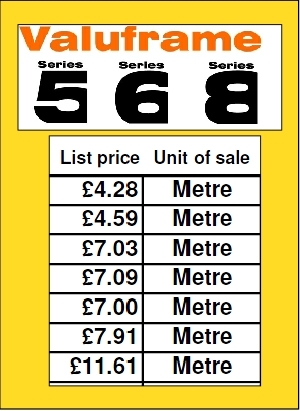 Components are simply ordered using the part number shown. 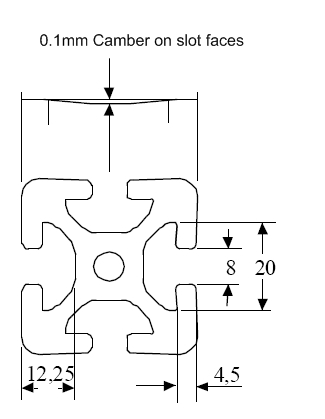 For profiles use the part number followed by the length in mm. 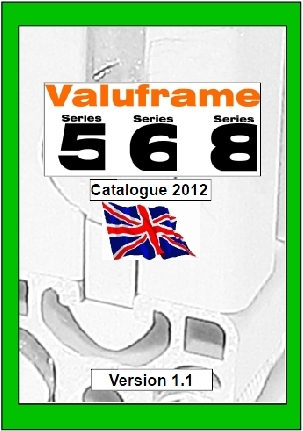 Valuframe profiles have a slight camber either side of the profile slot. The main function of this camber is to provide a spring locking effect when the profiles are connected together.